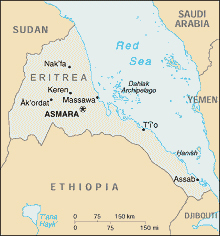 Eritrea, colonised by Italy from 1891, became a British protectorate in 1941. In 1950 the UN resolved to federate Eritrea under the Ethiopian crown against the wishes of the Eritrean people. In 1962 Â Ethiopian Emperor Haile Selassie annexed Eritrea and made it the 14th Ethiopian province. This led to the start of the longest armed struggle for liberation in Africa.